John has spent his entire professional career working in his family’s firm. After graduating college in 1972, he began as a route driver. Over the next several years he served in a variety of capacities as he learned every part of the business. He became the company’s president in 1995, but found time to earn a Master’s Degree from Pacifica University in 2005. John is an active member and has served as both officer and director of the National Renderers Association. 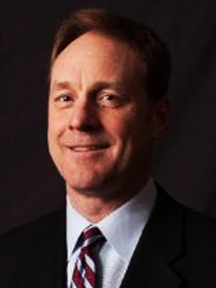 Rick joined Mahoney Environmental® in 2009 as Vice President of Preferred Oil, LLC. 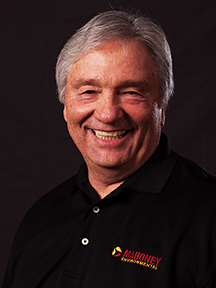 He added management responsibility for Mahoney Equipment Solutions, Mahoney Managed and company-wide sales. Rick was named President in 2013 and is responsible for operations, sales and administrative management of the business. Prior to coming to Mahoney Rick has held senior management positions with firms in a variety of service industries including ServiceMaster, Aramark, Shell Oil, and TectaAmerica. He is a graduate of Ohio University with a B.S. in Industrial Technology. 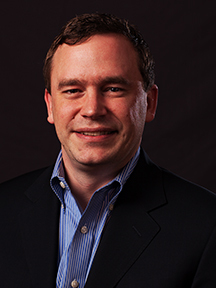 Ken joined Mahoney Environmental® in 2014 as Vice President of Finance. Prior to coming to Mahoney Ken began his career at a Certified Public Accounting firm in 1985. He received his CPA in 1987. 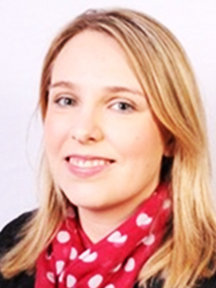 Ken has served in finance roles to include senior management positions with firms in a variety of related environmental and recycling industries including Earth Tech, Compass Environmental and Greenstar Recycling. He is a graduate of Illinois State University with a B.S. in Accounting. 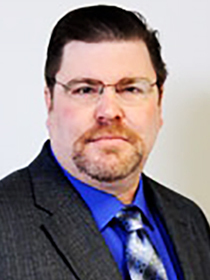 Tim joined Mahoney Environmental® as the VP of Sales and Marketing in March of 2014. He has served over 25 years in various leadership roles in the product distribution and service provider industries with several Fortune 500 companies. 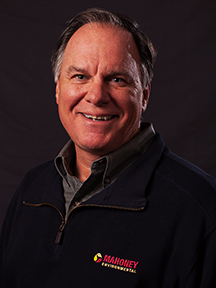 Prior to Mahoney Environmental, Tim was a Regional Vice President at W.W. Grainger for 10 years, and prior to that held Vice President of Sales roles at both US Foodservice and Martin Brower and the General Manager role at International Multifoods. Tim has a solid background in operations with P&L responsibility across multiple functions spanning product management, logistics, inventory control, and customer service. With a track record of producing organic sales growth in his former positions, Tim continues to grow top line sales, gross profit, and net income with Mahoney Environmental. Tim is a graduate of the University of Wisconsin with a B.A. degree in Finance/Accounting. 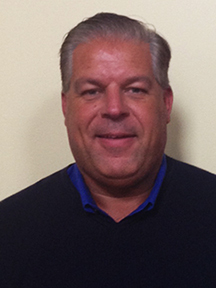 Sonny joined Mahoney Environmental® in 1998 in a sales role. He has served nearly 20 years in various sales, marketing and leadership roles and was named as VP for Preferred Oil 2017. Sonny added management responsibility for Mahoney Equipment Solutions in 2018. He served on the Education Committee and the Resources Committee for the Restaurant Facilities Managers Association (RFMA) in three recent years. Prior to coming to Mahoney Sonny worked in various restaurant businesses, learning about our services from the customer view. He is a creative thinker, a motivated go-getter with a distinguished background of identifying opportunities, providing value-based solutions, while building exceptional customer relationships through customer service. Sonny studied Advertising and Design at the American Academy of Art in Chicago. Vito joined Mahoney Environmental® in 2011 to build our network of sub-contractors for multiple areas of our business (Mahoney Managed). He was named as VP West Operations in 2017. 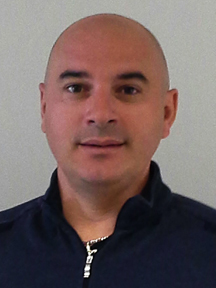 Vito came to Mahoney with over 25 years of experience in the restaurant industry managing various aspects of the business, with a significant portion of time spent in construction and development. Most recently, Vito was a customer of the company while at the Portillo’s Restaurant Group. 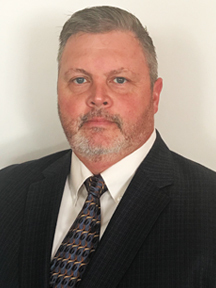 Prior to this role he has been involved with all aspects of our business to include Joliet, our largest UCO and trap service operation, building the Mahoney Managed network, identifying acquisition opportunities, market analyst, and contract negotiations. He has grown trusting relationships and delivered exceptional customer service to stabilize and create profitability in trap services and has developed and grown a network of trustworthy subcontractors of nearly 200 partners to help support the growth initiative outside of our direct service area, while building profitability. Vito has an Associate’s Degree from the College of DuPage in Accounting. Brian joined Mahoney Environmental® in 2011 as Director of I.T. to build our infrastructure and to adopt and implement dramatic changes in automation of our route based businesses. He was named as VP East Operations in 2015. 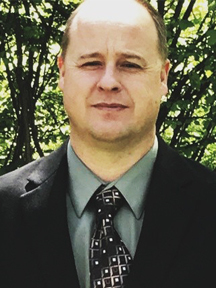 Prior to joining Mahoney Brian has held several senior and executive level technology and operational positions over his 20+ year career working for various companies focused in the transportation, logistics, aerospace, and manufacturing industries. He has built and managed software development, operations, fleet, and sales teams with a focus on implementing programs and services to improve efficiencies. Brian is a graduate of the Indiana University with a B.A. degree in Criminal Justice/Business. Katrina joined Mahoney Environmental in 2013 as a Human Resources Intern and assisted the HR team while completing her BBA in Management at the University of St. Francis. After graduation in 2014 she was promoted to HR and Payroll Specialist and an HR Generalist in 2016. She has earned PHR certification and she was promoted to Senior HR Manager leading the HR team in 2017. Prior to joining Mahoney Environmental, Katrina worked as an HR and Volunteer Services Intern at the Forest Preserve District of Kane County, where she assisted with volunteer orientation and training and special event planning. Jason joined Mendota Agri-products 2011 to support our flagship operation in Mendota as Director of Operations. He added responsibility for all our processing locations around the country and was named VP Processing in 2015. Prior to joining Mendota Jason worked for Advanced Drainage Systems and was their Plant Manager responsible for the overall operational performance of a multi-million-dollar manufacturing facility that includes the safe and efficient production, inventory, and delivery of quality HDPE pipe. He managed a team of 96 employees working in customer service, logistics, customized fabrication of HDPE/HDPP fittings, manufacturing, and delivering of HDPE/HDPP pipe to the consumer. Jason is a graduate of Mount Vernon Nazarene College with a B.S. degree in Business Administration and has an Associate’s Degree in Applied Science from Columbus State Community College. He holds a Certification as an Illinois K license for a Waste Water Operator at Mendota Agri-Products. Jason is an active member of the National Renderers Association, Central Region. 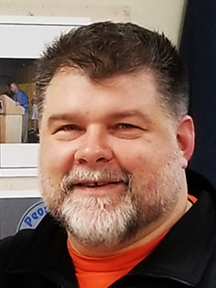 Bob joined Mahoney Environmental in 2018 as Director of Information Technology (IT). He is responsible for building automation between systems and bringing Mahoney new business analytics tools that enable anyone to visualize and analyze data at greater speeds and efficiency. Bob came to Mahoney with over 20 years of experience in the recycling / logistics industry. During that time, Bob lead IT, Operations, Logistics, and Customer Care departments. He has streamlined communication between the home office and trucks on the road using many different in-truck technologies, which has eased the life of a Driver and provided better real-time information to the office. Bob is a graduate of Keller Graduate of School of Management with a Master in Project Management (MPM), and also is certified from the Project Management Institute as a Project Management Professional (PMP).